Halloween is just around the corner, and I thought I'd share with you something rather funny that happened to me during my very first Halloween in America! The following story occurred in 1990 just a few month after my arrival to America in order to start my surgical training. Since I started this journey in my new relationship with God, I have wondered so many times: What exactly does He want me to do? You must realize that I am somewhat shy to certain extent. Several friends have asked me if I pray every time I operate. I don’t remember how many times I have heard this same question. There is also another question: Do you pray with your patients? I guess that the reason people ask this question is because they want to know how I handle or separate my scientific mind from my religious and spiritual beliefs. If you have been following this website, you most likely know that I am a believer in God and Jesus is my savior. So I decided to dedicate today’s blog to go over those two related questions. I am going to start by saying that I have a daily routine in terms of my communication with the Lord. It is very simple. I usually pray three times a day: early in the morning, sometime mid-day (in between cases) and before going to bed. Early in the morning, as part of my daily prayers, I will ask to bless my patients and their families. It is in that time when I ask the LORD to bless me with wisdom, energy and will power because I want to make sure that at the end of the day, there should never be any doubts that I did absolutely everything for the patients and their relatives I could. Even though, I always pray for good outcomes, we need to understand that God has a plan. And that a lot of times we don’t understand it. So because of that, one thing I want to make sure of is that, “I always give everything humanly possible for each patient”. Another key component of my routine is that I try to pray before leaving the house. I must say that once in a while on a busy morning I might pray on my way to the hospital. That is rare–but it happens. What doesn’t happen is for me to arriving to the hospital without saying my morning prayers. In fact, I can’t remember a day that I have arrived to the hospital without having first prayed & talked with God. Later on the day, around noon, I will get to my office, lock the door for a few minutes and pray again. Most of the time, it is just a short prayer, maybe about something that I forgot to mention early or simply just to thank Him for my faith. will also include my patient especially if I have critical patients in the hospital. The second question I get often is very interesting: Do you pray with your patients? Let’s start by saying that I have to respect my patients religious points of view. They come to me for a specific cardiac problem and I have to make sure that the patient is very comfortable with me as a doctor. Some people don’t believe in God, others are confused about it and feel awkward with praying. So I don’t offer praying but I will definitely pray with any patient that so request it. I believe that by creating a habit of praying throughout the day I have made sure my heart, mind and attitude are all in alignment with God. I don’t need to force prayer in my patients face for them to reap the benefits of it. Praying is an integral part of my daily routine, and should be in yours too. It is something that I have been doing for several years. At this point of my life, I can’t imagine not praying as many times as possible. It keeps me grounded and focused on the fact that God is ultimately in control. How can you pray more effectively in your life for your co-workers & family? What can you do to become more consistent each day in your prayers? I am sure that all of you have heard that expression before. In fact, you might have told that particular expression to someone or you might be the recipient of it. The scenario usually occurs when emotions start to take over the content of the discussion. In fact, I can tell you that most likely the heart rate has gone up and we are breathing faster. But, I have also heard a variation of the same expression; “It is not what you are saying – It is your tone”. There is not doubt that we live in a very complicated world. It is a world in which ideals, and points of view are constantly shared among each other. Social media provides a continual forum for endless discussions about politics, sports, religion etc. As I read the Bible, from the Old to the New Testament, I keep finding very interesting characters. But also, I have found very complex episodes. Some of the episodes and characters have been used as weapons by non-believers against our faith. But one thing I find very interesting is the fact that the Lord has chosen regular people to spread the word. 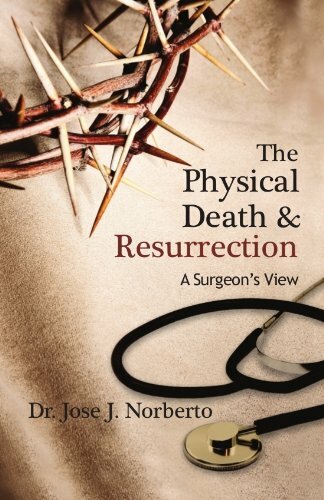 Since the release of my book, “The Physical Death and Resurrection–A Surgeon’s View”, I have been using several avenues to share the book to reach more people. One goal of the book is to encourage believers in the faith, and another to provide a resource to people who are unsure of who Jesus really is and what his death & resurrection meant. In my book I focus a lot on Jesus–the man. I present very relevant historical and socio-political facts regarding this legendary man. The book also revealed the science behind the crucifixion proceedings. On my Facebook page, I always try to share anecdotes and positive messages. I do it because I am convinced that there is so much negativity and loss of values n our world. Today I would like to share a beautiful and meaningful tradition. This tradition is one of the great memories from my hometown in the Dominican Republic. Honestly, I have no idea how the tradition started or where it came from, but one thing for sure, it was the rule at the Norbertos' house. At some point in our lives, we look forward to meeting someone. In fact, we might have established a relationship via the Internet but yet we haven’t met this individual face to face. It is not unusual to create our own ideas or expectations about this person we are about to meet. It is not unusual to be disappointed once the actual meeting occurs. The reason for the disappointment might be due to false expectations about our Internet friend. Today’s blog is continuation of last week’s: Our Words – Reflection of our hearts. This time, we are looking at it from a different angle. I have noticed how sometimes our expressions do not have the effect we wanted to achieve. But we most understand that when we are engaged in a conversation, there is somebody else listening and processing the information. That recipient or recipients have their own backgrounds. In previous blogs I have mentioned my father as a man of God. He never took any shortcuts in terms of living his life as a Christian. What I mean is that we, human beings, have the tendency to accommodate the scriptures to our needs or better stated to “our wants”- we take shortcuts. We are all familiar with the word wisdom. It is used on a daily basis in our society. In fact the phrase “Wise decision” is utilized in sports, business, politics and military to describe a “good move or maneuver”. This good move or maneuver will most likely translate in a benefit for us. During this journey in my faith, I have been able to experience a unique joy - the joy of being a witness of God’s interventions in our daily activities. As we read the Bible, we see all kinds of miracles and obvious divine interventions. I remember asking myself, how come we don’t see miracles as often as in times past. In fact, I felt that God had decided not to do miracles anymore and let things go according to absolute natural laws. It was as though through the centuries he just wore out. The Spirit - What is That? As I try to grow stronger in my faith some topics become more appealing to me. In the last few days I have been thinking a lot about the spirit. The expression "No one gets out of this world Alive" is a great truth. I should disclose that as a little boy until, perhaps, 7 years ago, the possibility of losing my parents terrified me. I am amazed how much we like to complicate matters! In the process of complicating matters we lose track of what is really important. One way or another, from the old to the New Testament, the Bible says multiple times “Do Not Be Afraid & Fear Not”. It seems like the Bible says something like this 100 times or more! When I was younger I used to say to my mother, “You only told me once!”. My friends, we cannot focus on “how many times” God tells us to do something. We miss it when we need God to tell us over and over again (although he is patient with us and certainly does)! In other words what is the difference between 100 times vs. 1? I have heard the expression “That was God’s Will” so many times. It usually follows some catastrophic event. It is used as a comforting statement to someone else after a loss, a disease process etc. I must say that I have always struggled with the idea that anything associated with misery or sadness is “God’s will”. So how is it possible that God loves us as a father if He is willing to hurt us? There is something missing here. If God is our father, He doesn’t want bad things to happen to us. If we believe that God is our loving father, then this statement that is used to try to comfort us, is extremely contradictory to God being a loving father! We must admit that this particular expression is very popular. In fact, we might have used it ourselves when we don’t know what to say to a love one that is suffering. In certain situations like a disease process, this particular expression becomes somewhat dangerous because it could trigger apathy. What I mean by this is very simple, if a disease happens because of “God’s will” then what can we do about it? Well, nothing. This particular trend of thoughts could lead to inactivity. Basically, we stop fighting- we just give up. Honestly, it makes sense; what can you do if it is God’s will that you develop a cancer? Why bother to go to the doctor because it’s God’s will that I die. He’s the one who gave it to me! The book “When bad things happen to good people” gives very good insight in this particular subject. I strongly recommend it. As long as we are on this earth, we will have to face diseases, natural disasters, death etc. These ‘bad things’ do not favor anyone in particular. People-good or bad- will have to die at some point, otherwise Earth would be too small for all of us. Imagine if George Washington was still around because he was a good guy and he deserves to be around. Vice versa, Adolf Hitler was still around because bad people don’t die. The good news is that we can and should rely on God, our loving father to gives us the strength, courage, abilities and wisdom to face adversities. We have to understand that it isn’t God’s will for us to be plagued with tragic events - but it is His desire that we overcome those terrible things and find our strength anchored in His power, not our own.